Sometimes people say silly things — including me. We’re only human, after all. 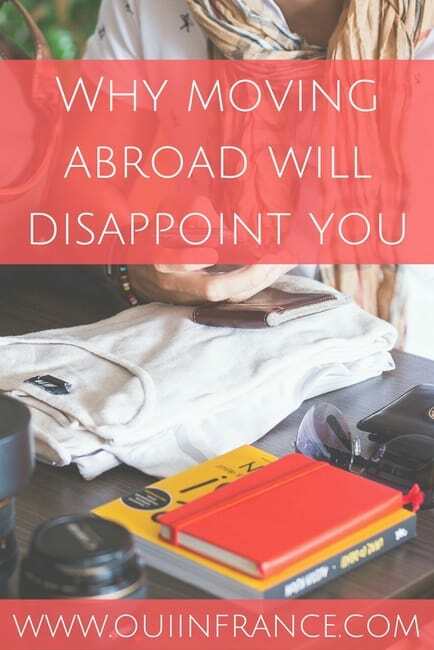 In 2009, when I first announced my plans to move to France and teach English leaving my stable life in NYC behind, people would often respond with some variation of, “OMG! You’re so lucky!” seemingly wanting to escape their routine for something new. I usually responded with a, “Yeahhh, thanks?” not really knowing what to say. I did know one thing though — luck had nothing to do with me ending up in France. Let’s start with the concept of luck. Merriam Webster tells us that luck is most commonly thought of as “the things that happen to a person because of chance: the accidental way things happen without being planned.” When I think of luck, I think of winning the lottery or getting a free coffee because I was the 100th customer of the morning or picking the fastest toll booth lane when you’re running late. All of these things happen by complete chance and your efforts have very little impact on the outcome. So what about when people tell me I’m lucky to be living abroad? 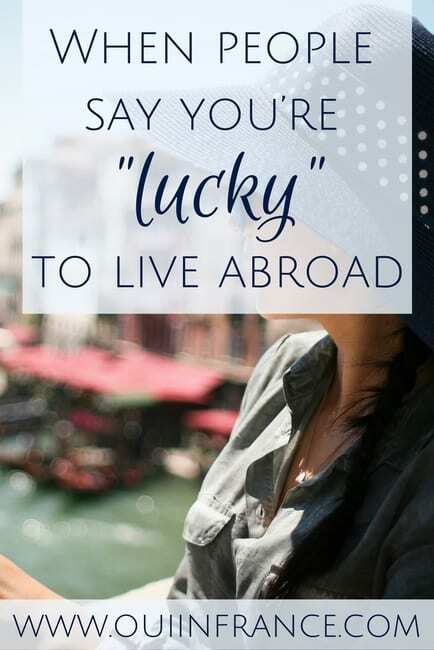 Well, there was nothing “lucky” about me making the deliberate choice to pursue a life in France back in 2009 and then taking the necessary steps to make it happen. And then doing it again more permanently in 2011. But am I lucky to be living in France? No. It’s not the right word. 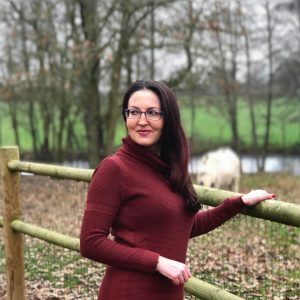 I chose to move to Paris (originally had nothing to do with Tom, I moved the first time for a 7-month teaching contract and you can read more about the backstory here) because it’s what I wanted and I made it happen. I am extremely fortunate that I’m the type of person to set my mind to something and then do it. I’m also fortunate to have had a job that allowed me to save and the know-how that allowed me to just go for it. As well as the support of friends and family. Fortunate seems like a better word. Amen, sistah. Fortunate is a better way to describe it. The people who say this usually want more out of life too. Maybe a change for themselves or their family, and maybe they aren’t sure how to get there. For me, that change was moving across the Atlantic, but not all big changes require an actual change of your physical location. Those who tell me I’m lucky place a high value on living abroad. They think of it as something admirable. But it’s not right for everyone. 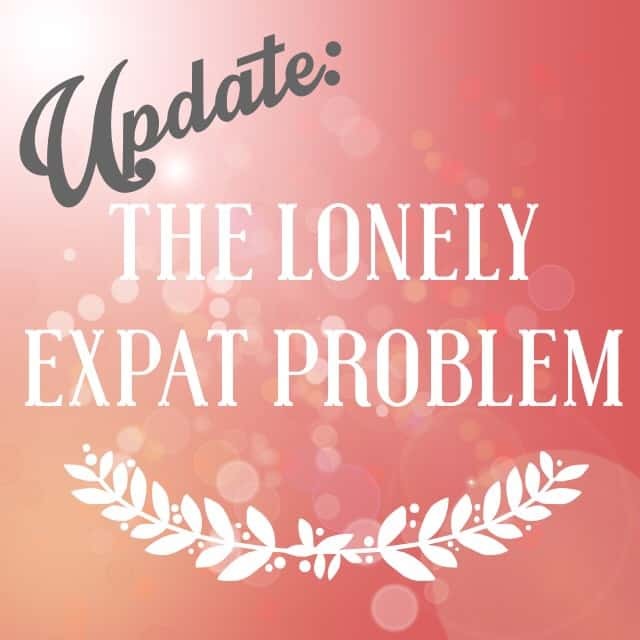 Moving abroad would be the last thing on many people’s priority lists and not something desirable at all and that’s OK. But we all probably want something out of life that we don’t currently have. What’s holding you back? What do you want out of your life right now? Think on that for a minute…. 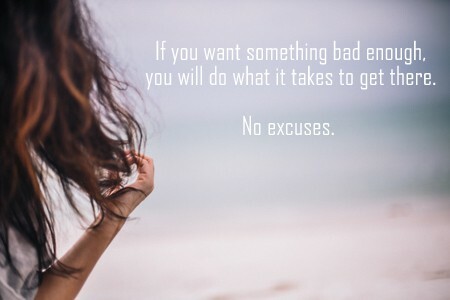 If you want something bad enough, you will do what it takes to get there. No one is going to hold your hand and force you to chase your dreams. That comes from within. So back to being lucky. I’m not lucky because I moved to France. 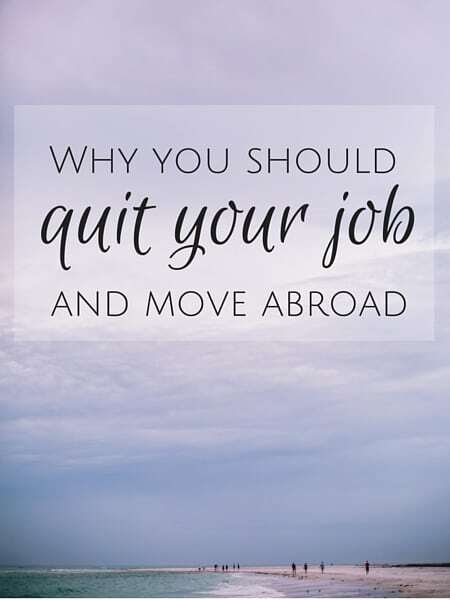 I just made the decision to quit my job and move abroad. But before doing that, let me stress that making such a huge life change takes a lot of work. Work that I happily did day in and day out. It takes planning, savings, patience and focus, for starters. I didn’t just wake up and magically arrive in France on a whim. I am not rich. I work like everyone else. I have bills and a mortgage and many of the same issues we all face. France is NOT a vacation for me. It’s just where I live and there are pros and cons to every place on earth. It’s also my husband’s home and I’m fortunate to be able to live here with him and experience France together as a couple. The point is to get out there and do something for yourself. I am not an advocate for making impulsive decisions or moving to other countries just because. Doing something means something different to all of us. What impresses me is having the courage to go after what you want in life whatever that may be, and to not always do what others think is right for you. Go after what you feel is right and trust in yourself. So maybe that means starting a new relationship, business, going to college or graduate school, moving somewhere new, changing careers, taking that new dance class in town that looks like a blast or whatever you want out of life that you don’t currently have. Don’t think for a second you can’t go after what you really want and make a change for yourself (no matter how big or small). You can and I’m proof. « Monday Mishmash 10/5/15: Back from vacation! Lots of planning, effort, and commitment to make a major life change. I think many people just don’t know what to say and instead of just saying “That’s cool” or “Good for you” they default to using the word “lucky” without really thinking it through. I think luck only gets you so far and to discount our own agency in the matter is selling ourselves short. I have to repeat myself several times to get people to understand that my life in France is not a 24/7 vacation and that the highs and lows of life are the same here (maybe just more extreme). 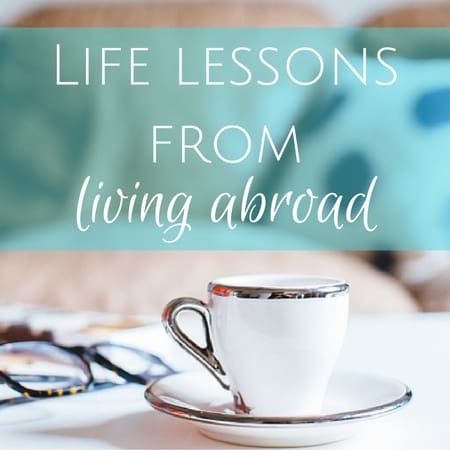 People sometimes think that living abroad is a fairytale and that’s not the case — that’s vacation, not my life! I also think that if we do want something bad enough, we will make it happen (you’re proof) as I said in the post. I believe that so much that I’m saying it again! Sometimes people want things but let their excuses get in the way. Sometimes excuses are valid reasons but other times they’re just excuses. And that holds true for anything — a new workout plan, going after a new job, a move to a new town, whatever it is. You said what I was going to say, “Amen, Sistah!” I quit my job in 2004 and moved to Paris for the summer. I could have made it work and stayed there, but I missed my family and friends and the U.S. and just wasn’t that committed to staying there. But, like you said, if you want something, you can make it happen! I know several people who did. It does take courage, and I think a lot of people let fear hold them back, or they’re too tied down with things here, maybe. Yup, totally understand the commitment part. And there’s nothing wrong with trying something and then moving somewhere else. You were committed enough to come, made it happen, tried it and then moved on. All takes courage! Just like anything — the courage to start a new career or start an exercise program or whatever. Fear really can be crippling but if we break things down into smaller steps, it’s much more manageable. Thanks for sharing your experience! Yup totally depends on one’s perspective and what’s most important to him or her. We all want different things and having family by your side can be a major deciding factor. It’s just not the same via FaceTime! Good point Diane, and we’ve heard the same from our friends and acquaintances in the US. However, it seems many are afraid to leave their comfort zone. Many have never even traveled out of the US, so they don’t even know what they don’t know. But our move to France took years of planning, preparation, saving, learning, patience & flexibility. We used to say in the military “Luck occurs when planning & preparation meet opportunity”. And “don’t dream, set a goal and make a plan”. We’re so glad we did. Hi Terry, love that quote about opportunity — so true! Makes so much sense. I’ve wasted so much time on things that don’t matter to me but when there’s something that does matter, i get right on it with a plan. I completely understand the fear of leaving one’s comfort zone. 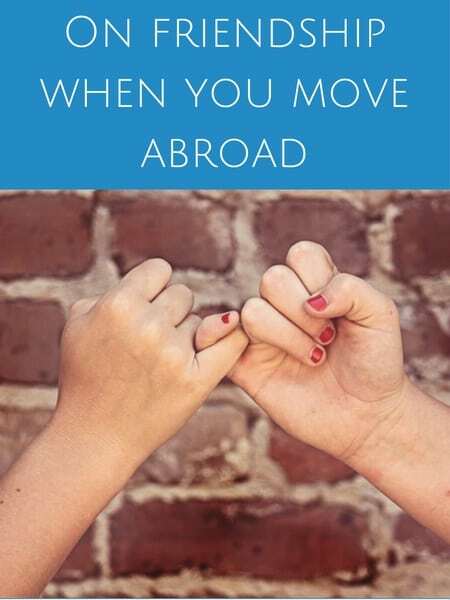 We all have different thresholds for things in life and for me (and you), moving abroad was something I was willing to try but we’re all different so others might not be so open to an international move. It’s not even appealing to some. But back to your quote, it really does ring true across the board. Someone I know told me “You are living such a great experience, If I could I would like to do the same” … Everyone can! You just have to try! 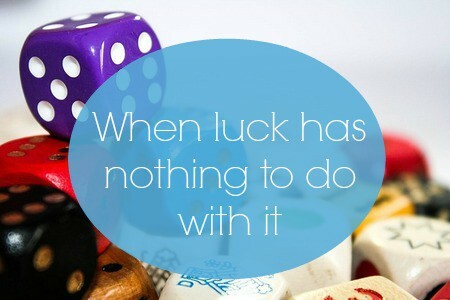 You are soo right that successful living abroad don`t have nothing in common with luck. Our lifestory is made by different choices. If you choose wisely people usually say it is luck. It is not …at all! It is wisdom or experience… Greetings! Thank you for sharing your article! Agreed, Michele! I just think people say “lucky” without thinking it through. Not an insult or anything, but not the most accurate way to describe someone’s life choices. I like the word fortunate 😉 Thanks for stopping by! As you know, wholeheartedly agree here! I think people continue to believe that if you live abroad, that you’re just on a perma-vacation. They seem to forget that you have to go to the bank, line up at the grocery store, get gas, work…just in a setting where the language isn’t your mother tongue ahaha.